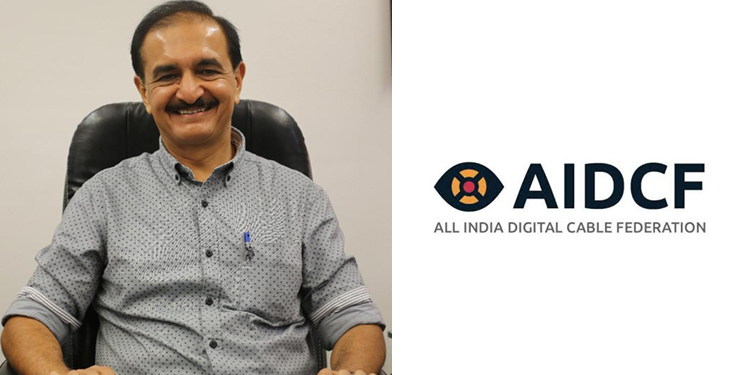 New Delhi: All India Digital Cable Federation (AIDCF), the apex body of digital cable television players, announces the appointment of Mr. S N Sharma (CEO – Den Networks Limited) as the new President of the Federation with effect from 1st April 2019 post expiration of term of Mr. Rajan Gupta – current President. S N Sharma is currently the CEO of Den Networks Ltd. He is an engineering graduate from NIT and MBA from Kurukshetra University. In a career spanning 30 years he has been associated with Westinghouse Electric Corporation (USA) process automation division, Birla Kent Taylor, IndusInd Media, Hathway and Reliance Jio. He is also a Business leader with diverse experience across various management roles with expertise in project management, sales, marketing, strategy, operation and P &L management.